Rarely have my now-husband and I had the opportunity to reflect on our spirituality, religion, Jewish identity, and how we portray these aspects of ourselves publicly to our community of family and friends, before or since this process. It meant a great deal to us to have a Rabbi with whom we connected so easily. 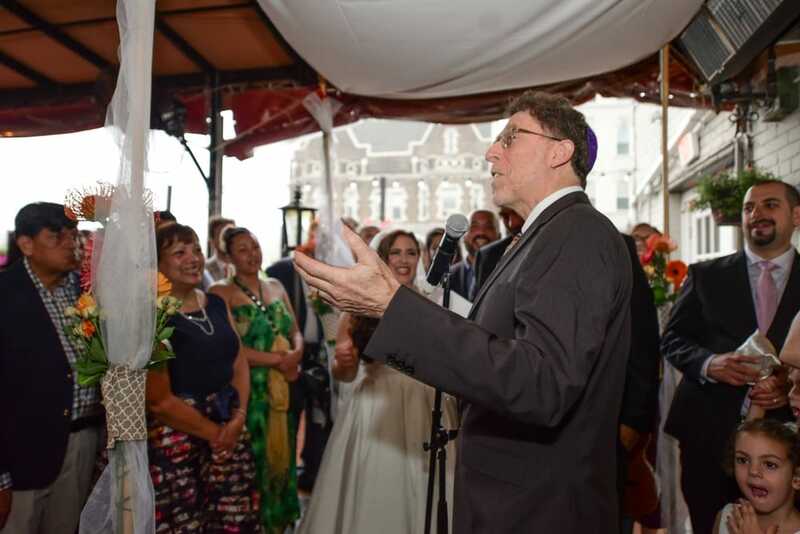 R' Mark was committed to helping us craft a ceremony that truly reflected us, our families (my husband was raised inter-faith), and our values, rather than an one-size-fits-all approach. So many of our guests remarked on how meaningful - and fun! - our ceremony was. At the bedeken, the chatan discovers... it IS Rachel under the veil!